We had an update to our library system again today. This one was on the test server. Once again the vendor insisted we don’t have a test system. I spent another five minutes of my life arguing with them to convince them that we did indeed have the system that they installed incomplete six months prior. This is at least the fourth time I’ve had to argue this point with them. Yet again today it is supposedly now entered in their inventory system. We will see what happens next time I have a problem. The upgrade itself went fine, however as expected, it wouldn’t run because the system was never fully setup initially. After a few hours of work the upgrade tech did manage to get it working though. I took the opportunity to ask what she did and replicated it on our production system so it now works correctly too. Tonight I think I may have managed to pack 3 personalities into one suitcase. It wasn’t an easy task believe me. “Why are you packing?”, you may ask. You may even ask, “Where are you going?” Well, its that time of year again when I get to travel for work to the location of the yearly conference for our user group for our Library Automation Software vendor. This year I struck gold with the trip though. It just so happens that the conference is nestled all nicely in the middle of the week that falls between Opening and second weekend of the Scarborough Renaissance Faire in Waxahachie, TX. Waxahachie is 30 minutes south of Dallas and the conference is, yep, you guessed it, in Dallas! So, this year I get to attend both the conference and the faire. Work agreed to fly me down early and back late, (same price just different days than I normally would have) allowing me to attend the faire on the weekends. Work will pay for my hotel while I’m at the conference, and thanks to a VERY generous friend and his wife, I have a place to crash when not at the hotel. WOOT! So, look out Scarborough here I come! Oh, also, while packing I found a pocket in the suitcase that I had apparently missed when unpacking from the Germany trip, and I found the gift I bought for my mother that I was sure I had lost! She was very pleased. I signed up for a twitter account this morning. Looked over the API, and by 9:30 had integrated parts of it into the library website. Staff with twitter accounts now display their current “tweet” on the library website. Not one to be satisfied with that… I created a new program for use in our library system that now automatically “tweets” every time someone checks out a book from the new book display. So what with this bein’ Talk Like A Pirate Day and all I discovered Facebook added “English (pirate)” as an option ya can be choosin’ fer language. Bloody thing don’t translate everythin though… So our library FB app was still landlubber speak. I have now added internationalization support and added pirate as a supported language so now iffn ye be addin’ our app and yer a good pirate you’ll get a piratical version of the app. 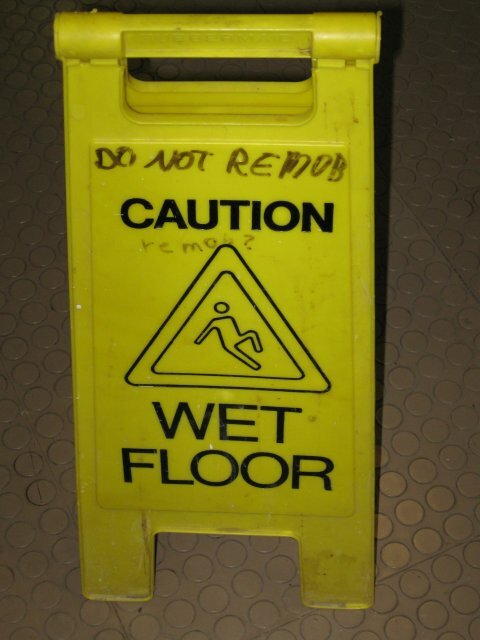 Well, I didn’t mob in the first place, so am I ok to remob?